The dangers of synthetic drug use have been widely publicized for several years now. Most of us have heard or read horror stories related to synthetic cannabis and “bath salts.” In some cases, people under the influence of the products, which are often marketed as “safe and natural,” commit atrocious acts. It is worth mentioning that the packaging of synthetic drugs often has a label that says, “not fit for human consumption.” A regular paradox, begging the question. Safe and natural for whom? 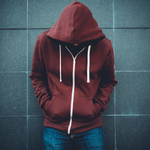 The use of synthetic drugs has been regularly associated with people below the poverty line, or those who would like to avoid detection with standard drug tests. The products, are both cheap and the chemicals present on the benign plant matter or bath salts do not register in typical drug tests utilized by employers. However, those aspects of synthetic drugs also make them appealing to young people. A trend that has become a growing concern of late. We have written on several occasions about the dangerous nature of synthetic drugs use, and the potentially deadly side effects that can result from use. Much of the danger stems from synthetic drug manufacturers constant efforts to stay one step ahead of government bans, by way of altering the chemical formula ever so slightly. Thus, creating a substance that has yet to be banned. The U.S. Drug Enforcement Administration (DEA) is in a perpetual state of catch-up when it comes to the ingredients used to make synthetic pot (e.g. Spice and K2). More prone to injury or to engage in violence (i.e. carry a gun or fight). At greater risk of being victims of sexual or physical violence when dating. More likely to engage in risky sexual behavior. At a greater risk of abusing other drugs. "The findings indicate that students who report using synthetic marijuana are possibly on a very concerning health trajectory, which is particularly serious given that synthetic marijuana use is relatively common among adolescents," said lead researcher Heather Clayton. "While the study does not show that synthetic marijuana use causes these risk behaviors, it's still important for health professionals and school-based substance-prevention programs to focus on strategies that reduce the initiation of marijuana and synthetic marijuana use." It is quite common for those who engage in drugs use and other risky behaviors in adolescence to struggle with addiction in young adulthood. If you or a loved one’s teenage recreational substance use has progressed to a substance use disorder, please contact Hope by The Sea. We can help break the cycle of addiction and provide the skills necessary for relapse prevention.